Is our play deficit linked to our children’s growing attention deficit? As we kick off National Children’s Mental Health Awareness Week, it’s time to seriously examine the mental repercussions of denying our kids the time and space they need to move and explore—in short, to be kids. New data from the CDC reveals that 11 percent of school-age children have been diagnosed with A.D.H.D., representing a 41 percent rise in the past decade. About two-thirds of the 6.4 million children who have been diagnosed take a prescription for a stimulant like Ritalin or Adderall. Let’s be clear: doctors and parents know best, but there is an all-natural stimulant that many recognize as effectively addressing our children’s increasing stress and deteriorating mental health: active play. Recent research shows that play in open green spaces was associated with milder symptoms of ADD and ADHD, even in children whose symptoms do not respond to medication. Research also shows that "periods of play improve social skills, impulse inhibition and attention" and results in "neurochemical changes...especially in those brain areas in which ADHD children are deficient." Though some girls are diagnosed with ADHD, it’s overwhelmingly a “disorder” of boys—boys being boys, in most cases. They were not made to sit in a classroom for six hours per day... They need to be outside playing in tree houses and organizing their own baseball leagues and exploring the woods—even just being quiet by themselves. Growing trends toward squeezing play out of the school curriculum are forcing our children to sit for longer and at younger ages. According to studies cited in USA Today, “40 percent of U.S. school districts have reduced or eliminated recess to allow more time for core academics,” which is not only worrisome, but actually counterproductive. The American Academy of Pediatrics asserts that among many “cognitive, physical, emotional, and social benefits,” recess improves children’s attention spans and classroom behavior. In Finland, where students’ test scores top international charts, elementary-aged children get 75 minutes of recess daily. Interestingly, about one percent of children in Finland take a prescription drug to treat A.D.H.D. Of course, our country’s play deficit extends far beyond school walls. Our children’s homes are filled with screens, and their neighborhoods lack safe places to play. During National Children’s Mental Health Awareness Week, it’s important to acknowledge the vital role of active play when it comes to our children’s happiness and well-being. 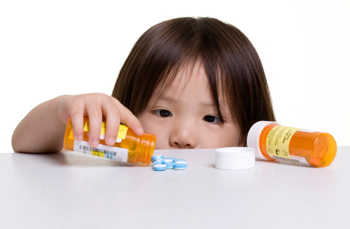 If teachers, parents, community leaders, and policy makers united to prescribe our children more play, perhaps our doctors would be prescribing fewer pills.